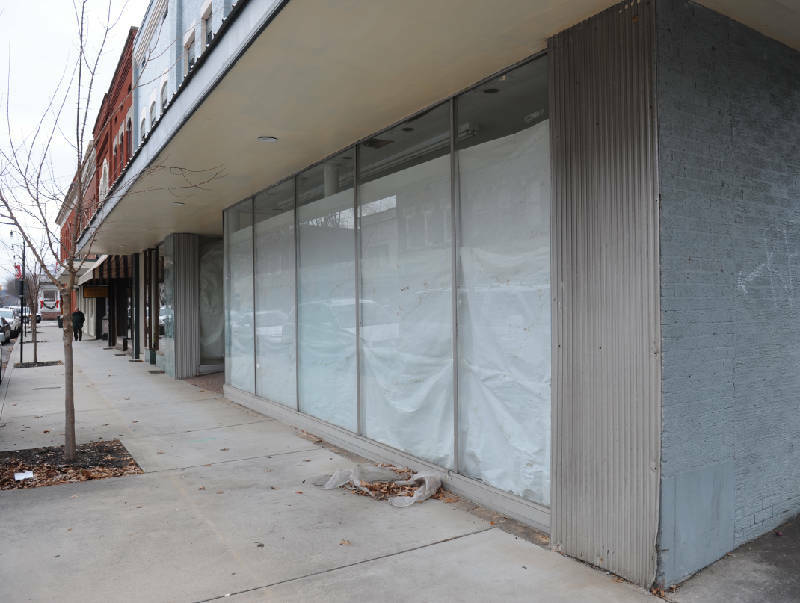 A former J.C. Penney and Woolworth retail space on Ocoee Street will be used by Cleveland's Lee University as part of their expansion into the downtown area. CLEVELAND, Tenn. - Lee University's expansion plans have gotten a boost in gifts of property and funding from the Allan Jones Foundation. "It is our family's pleasure to make this donation to Lee University, which will strengthen downtown Cleveland, higher education and traditional family values," local businessman Allan Jones said in a prepared statement. Key elements of the expansion, revealed earlier in December, will extend the campus southward along Church Street toward the intersection with Central Avenue. "We are grateful to the Jones family for this wonderful gift," said Dr. Paul Conn, president of Lee University. "It is the final piece in the puzzle for us. We have lots of work to do, and it will take us three or four years to complete the overall plan, but now, thanks to this gift, we can begin." The property donations include a number of older buildings, now used for rental housing and retail space, located between the main campus and properties previously annexed by the university. The old First Baptist Church and its auxiliary facilities -- purchased by the university in 2010 after the congregation moved to North Cleveland -- abut Central Avenue, marking the southern edge of the Lee University campus. Several older buildings within the block between Church and Ocoee streets will be razed to make way for a new communications building and greenspaces that will be consistent with existing campus design, said Kendra Gray, university spokeswoman. The proposed communications building was announced in September by Dr. Jerome Hammond, vice president of community relations for the school. The 40,000-square-foot facility is expected to break ground in early 2013. "This is a growing major at Lee and very popular," Hammond said. Conn would not disclose the amount of the cash donation, which is expected to play a role in renovating the old First Baptist Church sanctuary into a music hall for the university. The building will be renamed Pangle Hall in honor of Jones' wife, Janie, whose maiden name is Pangle. Lee University will seek to preserve as much of the sanctuary's integrity and ambiance as possible and avoid unnecessary changes during the renovation, Conn said. He said most changes will be in the sanctuary interior to make it more suitable for larger musical events. On the outside, the steeple will be replaced with a cupola to "more faithfully reflect an academic style of building," he said. "The old First Baptist sanctuary is a classic, handsome building, and it is important to us and to the Jones family that this familiar structure not be altered unnecessarily," Conn said. The new building are scheduled to open in fall 2014.